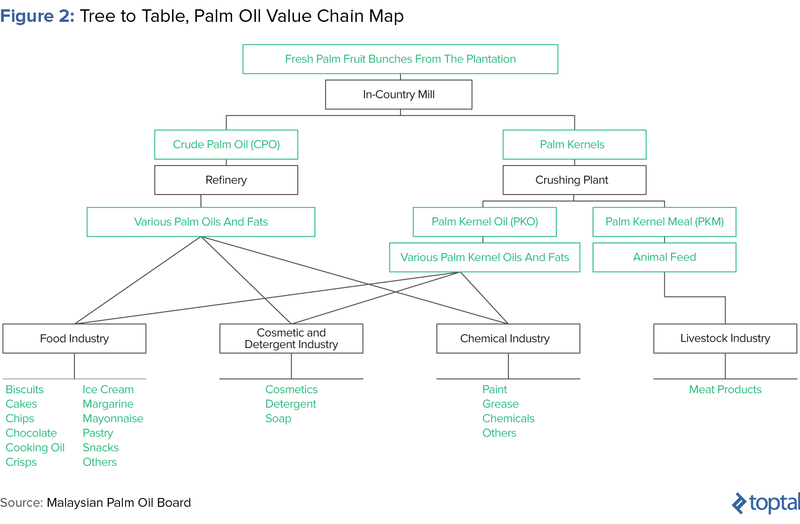 As an investment, efficient palm plantations (upstream) boast 50% - 60% EBITDA margins for mature fields; 3% - 12% margins for midstream (crushing, refining, and processing); and 15% - 25% for downstream. Recently, Nigeria, Thailand, and Colombia have been emerging as more relevant global producers, collectively accounting for an incremental 7% - 8% of total global CPO output and rising. 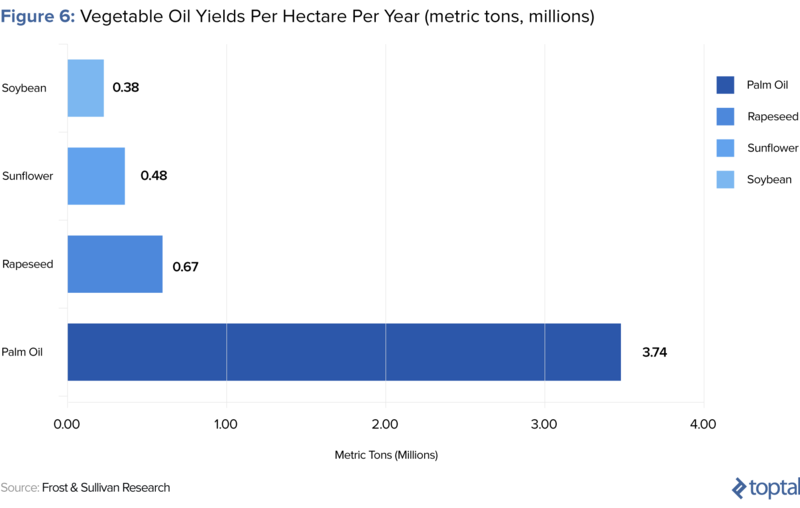 Since 1980, palm oil production has been dominated by two countries: Indonesia (53% of output) and Malaysia (31% of output), which collectively account for 84% of global CPO volumes. Recently, however, Nigeria, Thailand, and Columbia have emerged as globally competitive players, collectively accounting for another 7% - 8% of total global CPO output and rising. 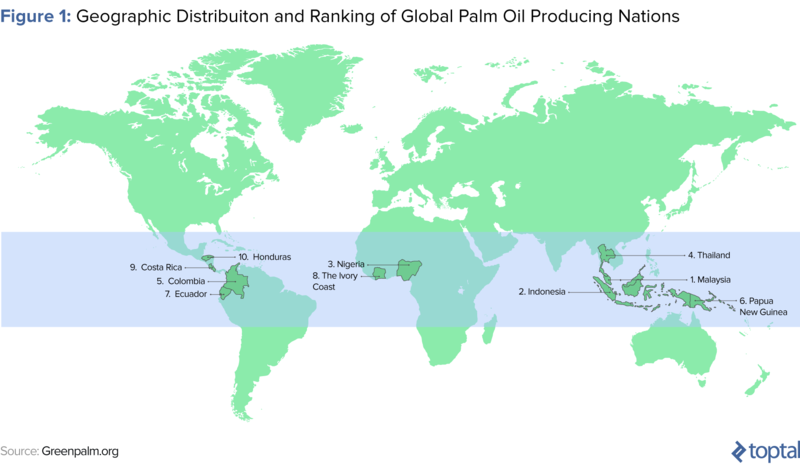 Commensurately, the world’s largest consumers of palm oil are India and China, who import 21% and 16% of the world’s CPO, respectively, followed by the European Union—specifically, Italy, the Netherlands, Spain, Germany, and the UK—whose confectionary and biomass industries collectively account for another 7% - 8% of global consumption. Palm oil is planted in two stages. The first, the nursery stage, involves artificially germinating palm seeds (slightly larger than grapes) in plastic containers and growing them in controlled net houses. At the three-month mark, these germinated plants are transferred to an open field for another 6 - 8 months (yielding a total of one year), until final transplantation to an open field. Here, the young palms are planted about nine meters apart, resulting in 128 to 140 trees per hectare. Amongst the public exchanges, Malaysian assets command premium valuations with the EV/ha range $10,000 - $44,000 but with valuations typically clustering in a tighter range of $14, 000 - $23,000, while Indonesian valuations exhibit lower clustering, ranging from $8,000 - $17,000 EV/ha. 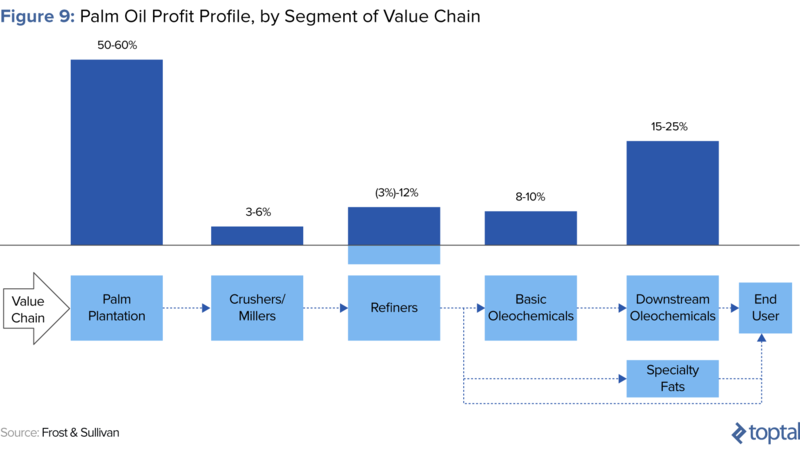 Given that the Singaporean listed planters are largely Indonesian plantation holders and operations, their valuations mirror those of Indonesian listed companies. 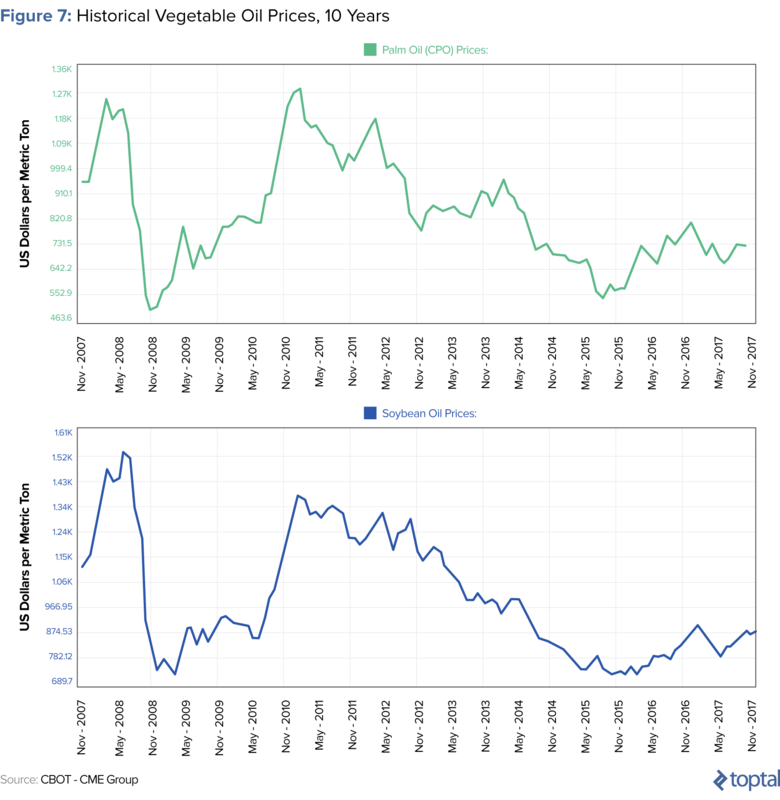 African valuations, typically listed in London, are lowest in class, ranging from $7,000 to $16,000 but concentrating mostly in the range of $7,000 - $10,000 EV/ha. 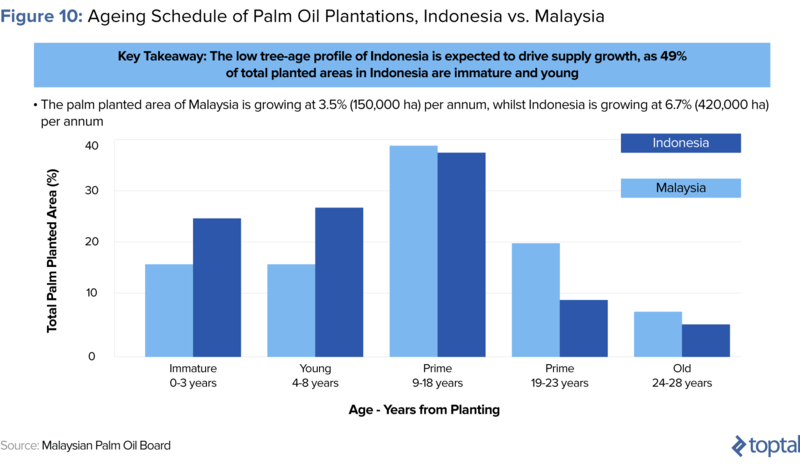 By way of illustration, in recent years, Indonesia has been plagued by a number of ongoing community issues that have led to the government reallocating large portions (up to 30%) of private palm land to smallholder farmers. 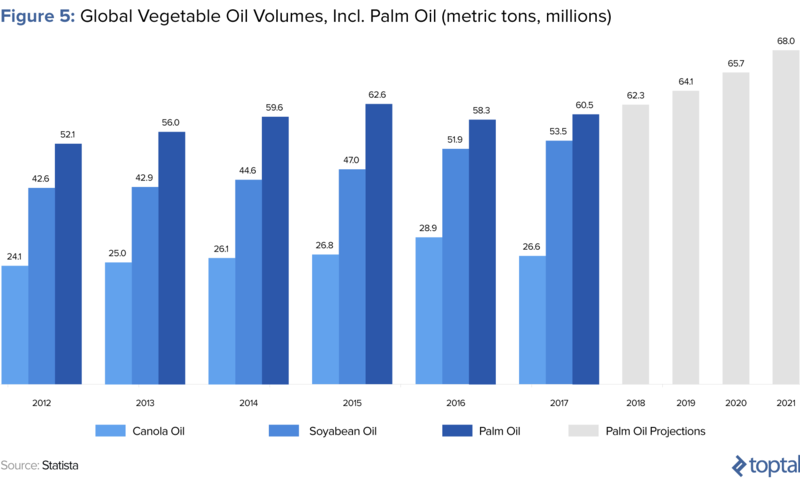 This, coupled with the fact that Indonesia consumes 25 - 30% of all palm oil it produces, domestically, relative to Malaysia’s 12% - 15%, led to lower domestic CPO prices and an impact to the bottom line of Indonesia listed companies. The perception of such concentration risk and exposure is but one reason why the markets tend to treat Indonesia listed companies as riskier bets than their Malaysian counterparts. According to Hardman & Co, a global agri-research house, the third reason why Indonesian companies tend to trade at a discount to their Malaysian counterparts is due to operational efficiency. Cost per ton of CPO varies from operator to operator and region to region, with Indonesia reflecting a higher cost per ton than Malaysia due to its weak and decaying transportation infrastructure. Typically the cost of production range is $380 - $550 per MT, with >$380 per MT being possible only for mature estates found in greater concentrations in Malaysia. What a great read Orinola... Well written and researched! 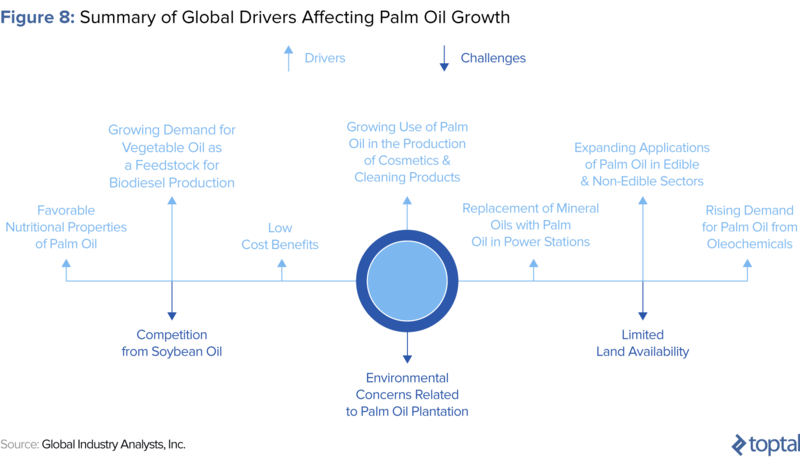 "Sustainability headwinds" doesn't quite convey the level of environmental destruction involved with palm oil production or the associated financial risks. We are looking for investor for palm oil plantation in Agusan del sur/Philippines Contact 0910-421-6549 more or less 300-650 hectare a class a soil.